The miniSTREAK may be on the smaller side, but Fnatic hasn’t left many features off the table. 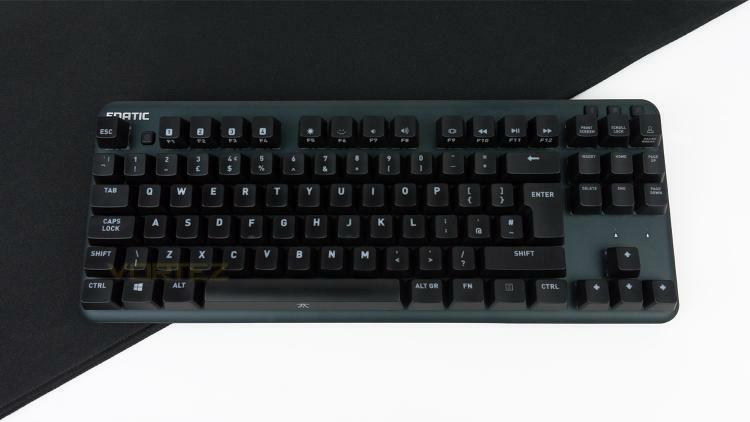 It features a removable wrist rest that is adjustable, a choice of four Cherry MX switches - MX Blue, Brown, Red and Silent Red as well as a 1000Hz polling rate, an NXP Microcontroller, fully customisable RGB illumination and more. So just because you opt for a small keyboard, doesn’t mean you lose out. However, there are a few things that don’t carry over from the full-sized model, these include a USB pass-through and a dedicated volume control wheel. But on the bright side, this model is €30 cheaper and still retains most of the same features. Don’t be fooled by the size of this little guy. miniSTREAK is a fully powered RGB mechanical esports keyboard in a easy to travel tenkeyless form. Complete with a detachable cable, the same amazing build quality and all the core features of its big sibling.